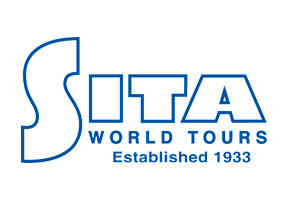 With 85 years of exemplary service in travel, SITA remains as the go-to tour operator for exotic destinations worldwide. Headquartered in Los Angeles, SITA is renowned for its highly experienced team of international specialists and is dedicated to travel excellence in every element of its programs. SITA also services the entire North America, with offices in New York, Chicago, Houston, Vancouver and Toronto. A SITA World Tours program is for your clients who want to explore a new and exciting area of the world, those clients who are looking for a unique vacation with family and friends, or a deluxe journey to celebrate a special occasion. The SITA Advantage: · SITA has provided travel excellence to destinations worldwide since 1933 · Enriching, authentic travel to destinations around the globe · SITA is renowned for its highly experienced team of international specialists · Customized, individual tailor made tours are our specialty · Groups are handled with care and precision · SITA is a proud and active member of the United States Tour Operator Association’s (USTOA) $1 million Travelers Assistance Program · We guarantee the most competitive pricing and are committed to providing the very best in value Key destinations include Africa & the Middle East, Asia, India, South & Central America, Australia, New Zealand and Europe, and can be viewed at www.sitatours.com. SITA offers · Schedule dated departures · Independent Touring · Tailor made itineraries (FIT’s) · Groups and special interest tours · Pre and Post Cruise extensions · Luxury rail product in Africa and Asia · Air and land specials · Women's only travel · Friends & family (multigenerational) travel SITA World Tours Agent Loyalty Bonus: SITA World Tours is continuing the Agent Booking Incentive Program through 2018. In celebration of SITA’s 85 years of travel excellence and to recognize the vital contribution that Travel Agents make towards our success, we are extending SITA’s popular appreciation bonus on every booking you make in 2018, which will be provided in the form of our customized $85.00 SITA American Express Thank-You Gift Card. To qualify for this bonus, Travel Agents must be a registered member of SITA’s Agent Services site https://www.sitatours.net/AgentServices/.